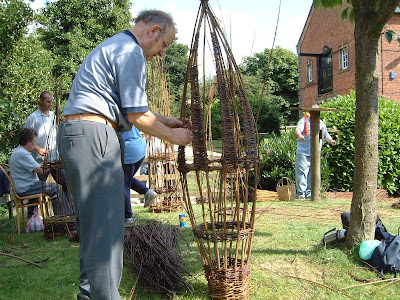 Steve will be working with the public to create a giant willow PEAR sculpture to go in the orchard area. the sculpture will be about 6 feet tall. 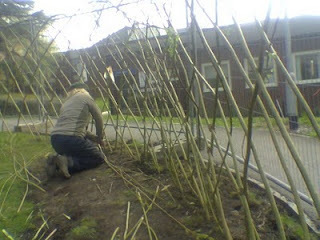 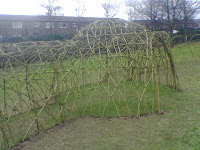 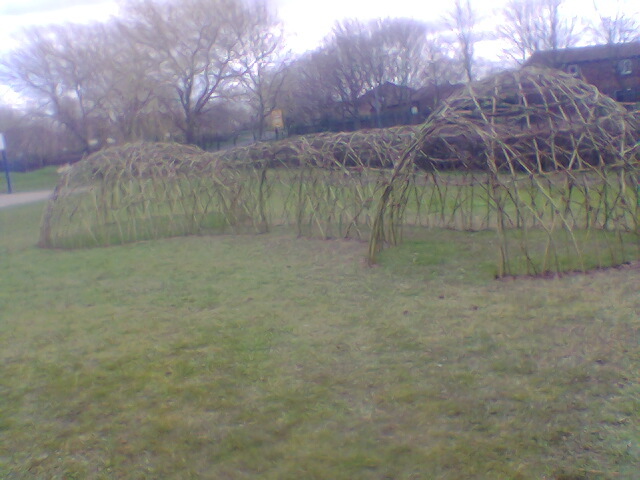 2 weeks ago we were at Capel Manor College, Enfield to repair some neglected willow unicorns. 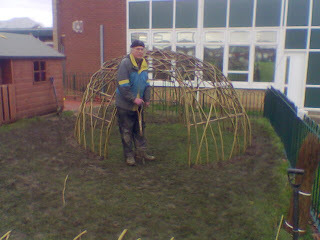 We were not the original creators but have been carrying out running repairs for the last couple of years. 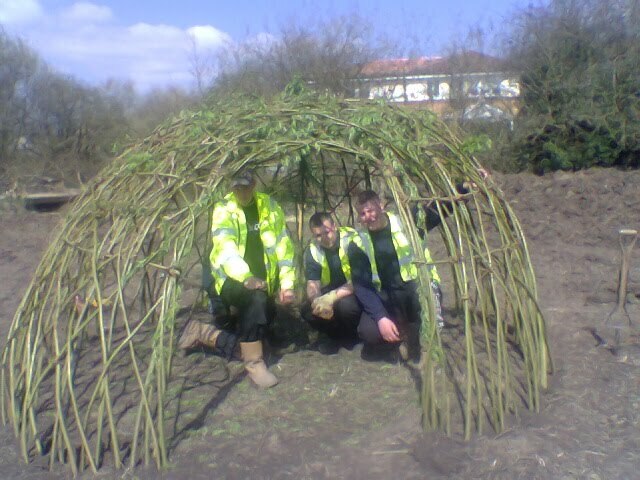 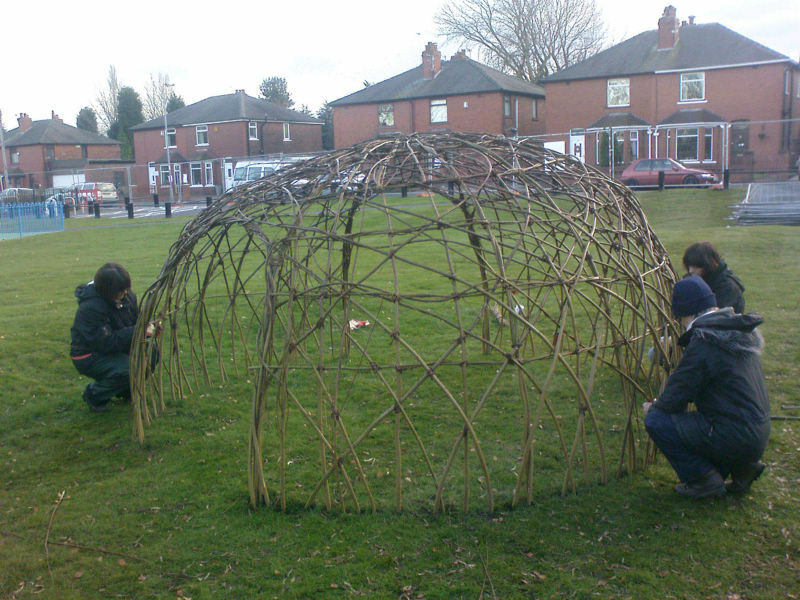 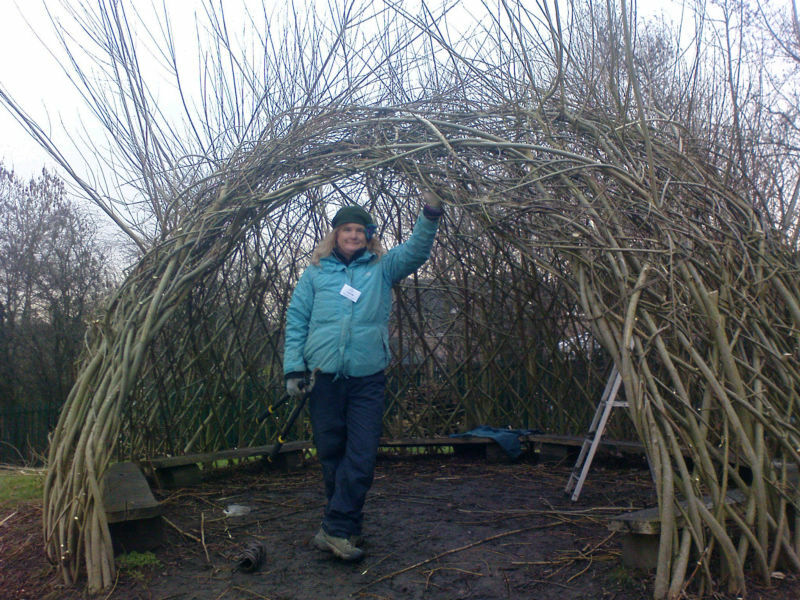 We also checked out our living willow dome that we built earlier this year. 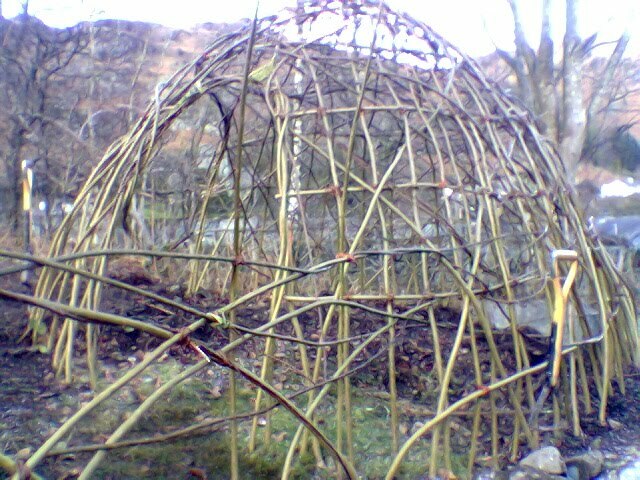 the dome is growing beautifully and we are very pleased with it. 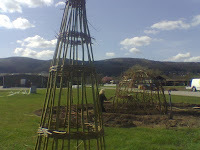 The Living Willow season has finally come to a close now. 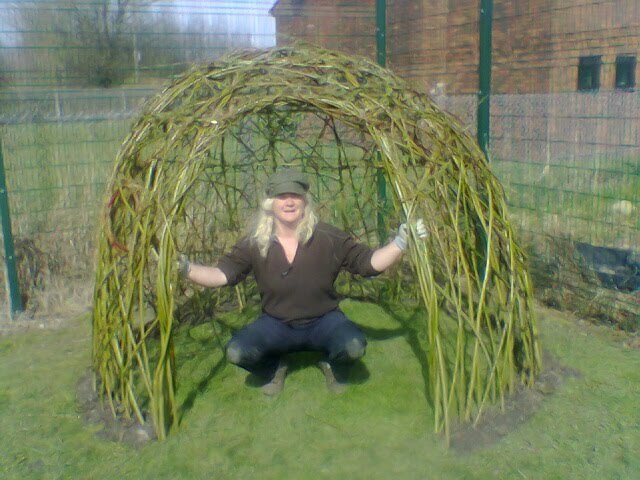 Anything planted later than now will need a lot of loving attention to coax growth out of the willow rods due to the lack of rain. 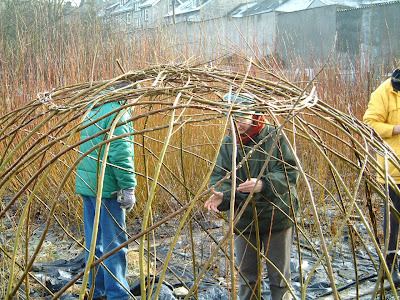 Any willow projects that have been carried out this spring will need lots of watering as we have not had any April showers this year. Children love the task of watering so it should be no problem in schools. 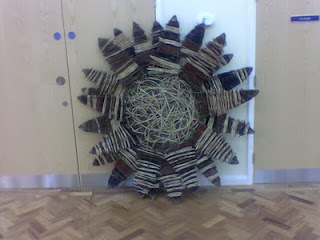 We have now started working on 3d sculptures for Arts Days and Eco Days in schools and yesterday built a giant sun at Croft Primary School near Warrington. 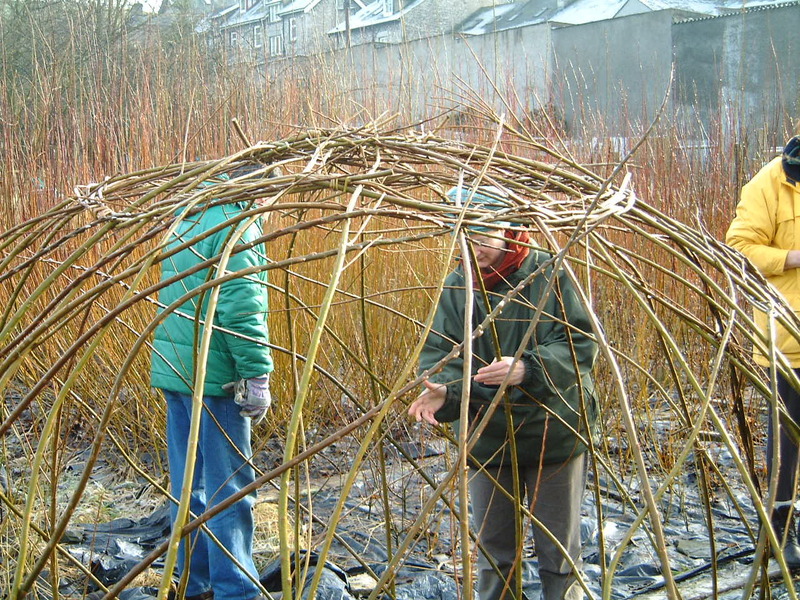 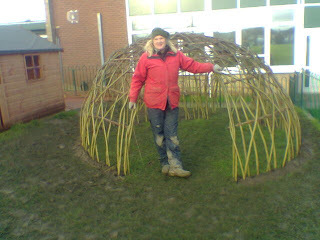 we have had a very busy week trying to get all of our living willow projects completed before Simone has her foot operation on Friday. We have been all over the country using our trusty Skoda Felicia as the van is still off the road waiting for a new engine. 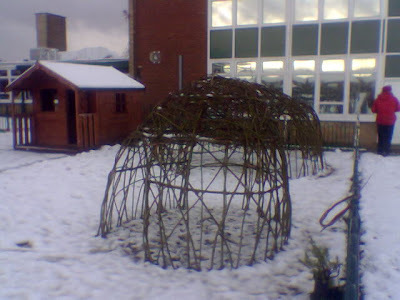 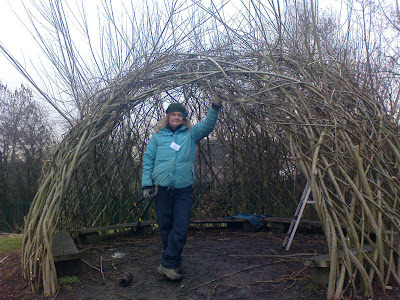 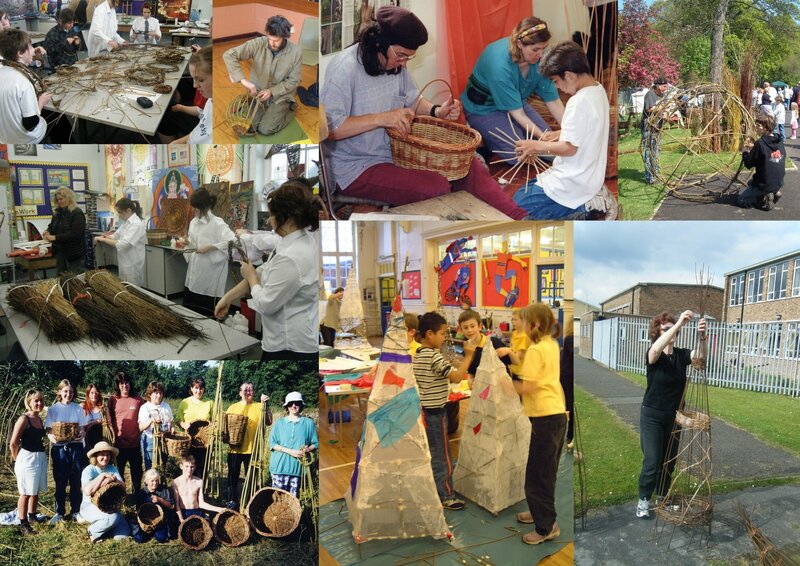 We have carried out 2 projects for Groundwork Trust, a willow dome in a primary school in Hyde, living willow fencing at Ashton-In-Makerfield and a willow project at a primary school in Ulverston, Cumbria. 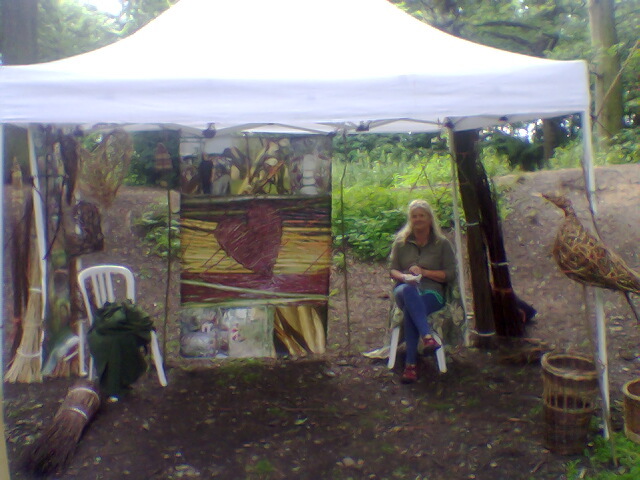 On Saturday morning we ran a willow weaving workshop for the Woodland Trust in Whitehaven where children wove willow leaves and spheres to hang in the wood. Today we were back in Middlesborough working on the maze project at the farm in Coulby Newham. 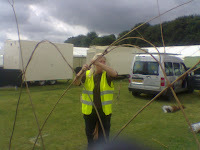 The maze is taking a lot of willow and its hard work making planting holes in the heavy clay field. Then it was a quick trip to our new willow beds to do some pruning and check to see if the newly planted cuttings were budding. 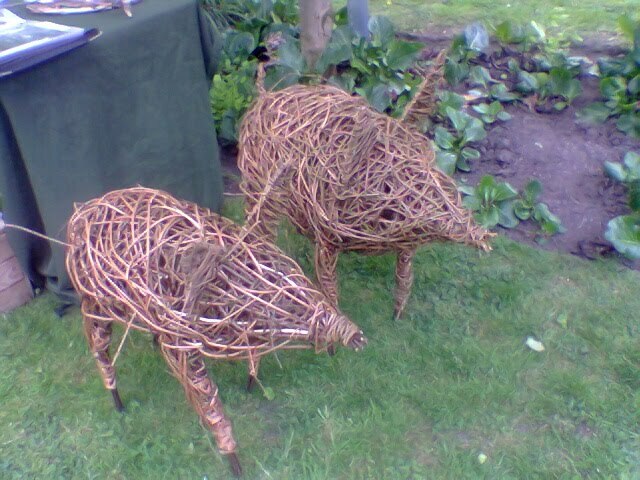 They were!! 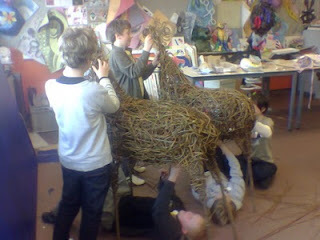 we are just starting to think about the various shows that we will be attending over the summer. 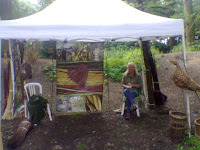 the link is the Martin Cockerhams Spirogyra website. 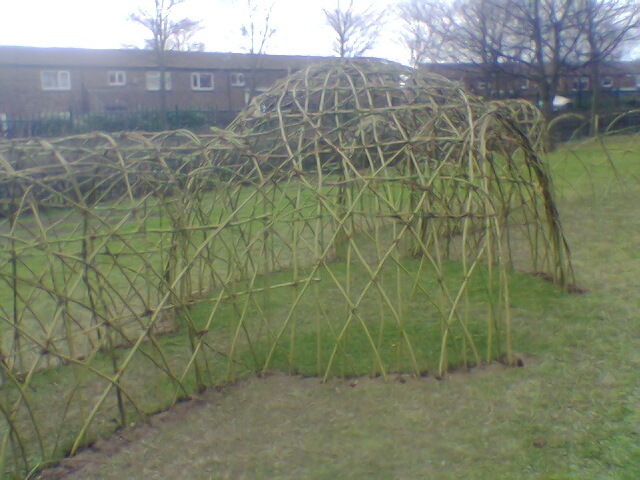 Martin is one of the great english singer songwriters who has been overlooked in recent years. 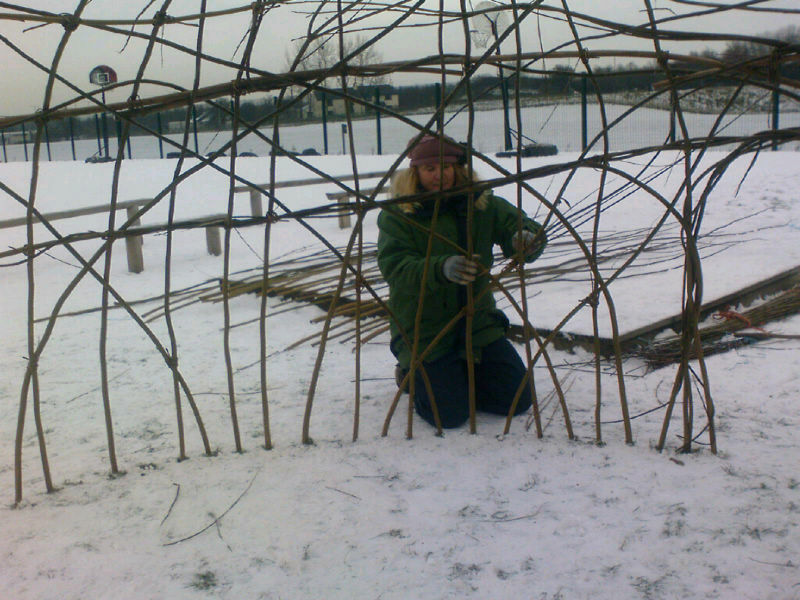 Spirogyra will be performing in London later this year. 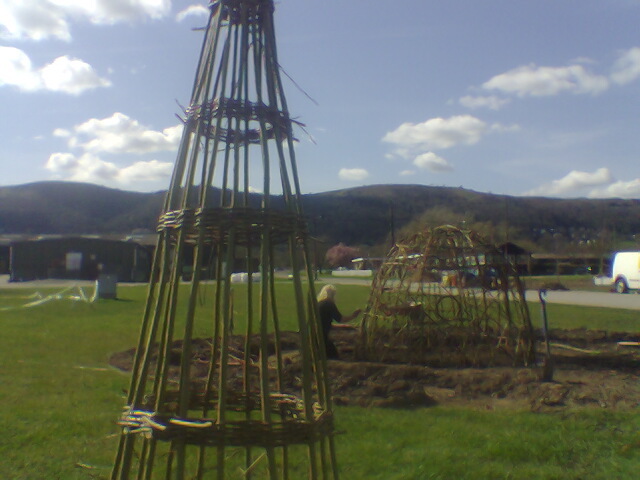 It will be a fantastic evening. 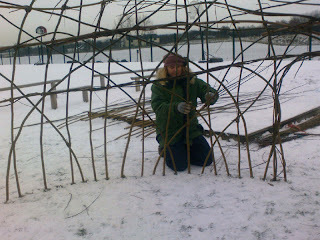 Go to Martin's website and buy his albums because they are brilliant!! 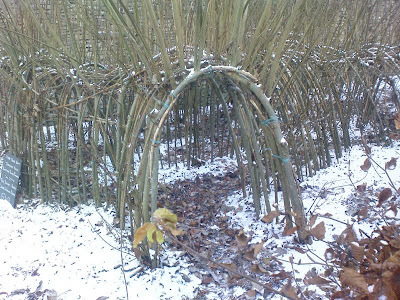 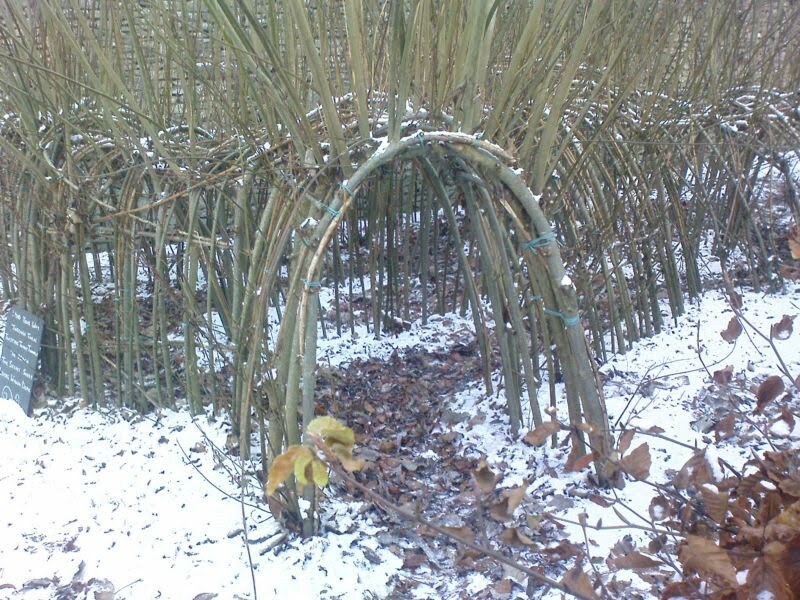 we are starting work on a huge living willow maze here this Easter come snow, hail or gales. We were the first willow weavers to make mazes out of living willow but now everyone seems to be getting in on the act! 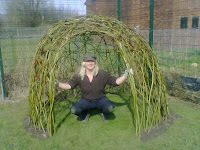 Some folks are even saying on their websites they they are getting gardening awards for their work. 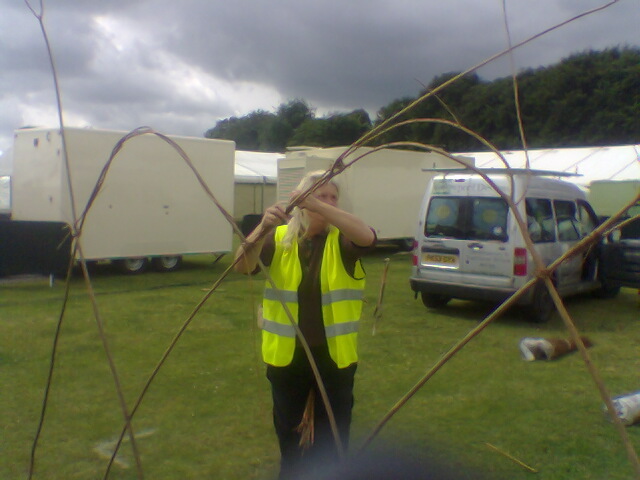 just wish that we could get some credit for helping to popularise all this willow stuff. 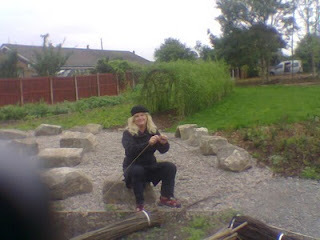 people are even copying bitsof our blurb and text to put on their websites.